A couple of heavyweights put on one of the greatest one-round shows in MMA history the last time the UFC hit Pittsburgh. Almost five years later, the promotion is returning to the Keystone State. We may not end up seeing anything quite as crazy as Pat Barry and Cheick Kongo trying to take each other’s heads off this weekend, but with the number of exciting match-ups on the card, there’s a good chance we could see a bout to remember this Sunday night. 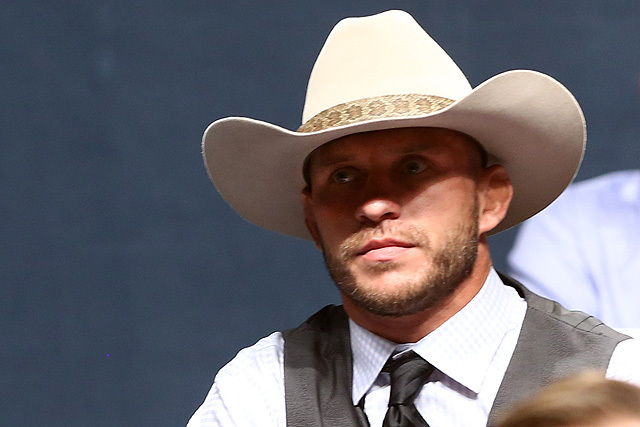 Donald “Cowboy” Cerrone is fresh off a lightweight title loss to Rafael dos Anjos in December. Cerrone is making the move up to 170 pounds for the first time in his UFC career in the main event of UFC Fight Night 83, and he’ll take on fellow “Cowboy” and rising welterweight Alex Oliveira in the featured bout of the evening. Always one to put on a show, Cerrone is looking to make a name for himself in his new division. He’ll have a fun opponent in Oliviera, who is riding a three-fight winning streak while picking up a couple of impressive stoppage wins along the way. An intriguing middleweight bout between Derek Brunson and Roan Carneiro takes place in the co-headliner, and the rest of the card seems like a recipe for violence. While the lineup lost a bantamweight bout between John Lineker and Cody Garbrandt which had slugfest written all over it, Garbrandt will still compete against undefeated UFC newcomer Augusto Mendes. There are also interesting battles between James Krause and Shane Campbell in the lightweight division and Chris Camozzi and Joe Riggs at middleweight. With a match-up between featherweight contenders Dennis Bermudez and Tatsuya Kawajiri rounding out the main card, the stage seems to be set for a fantastic night of fights. This card is set to kick off at 5:30 p.m. ET on UFC Fight Pass before heading over to Fox Sports 1 for the remainder of the card. The remaining televised prelim bouts will get started at 7 p.m. ET before the main card takes over at 9 p.m. ET. Combat Press writers Bryan Henderson and Vince Carey preview the action in this edition of Toe-to-Toe. Donald Cerrone was set to move up to welterweight to meet Tim Means, but Means was pulled after failing an out-of-competition USADA drug test. Now, Cerrone, still at welterweight, gets Alex Oliveira instead. Upgrade or downgrade in match-ups? Henderson: As a Burqueño, I was really looking forward to the Cerrone-Means pairing. These are two men who don’t tend to hold back, both on the mic and in the cage. It would have served as an excellent grudge match and stoked the fires of MMA fandom in a city that’s really been immersed in the sport since Holly Holm claimed UFC gold. Here’s hoping that once Means takes his punishment or appeals it, this pairing can be revisited down the road. So, I’m split in whether I consider this an upgrade or a downgrade. The Albuquerque-gym rivalry angle is gone, and therefore it is a downgrade to some extent. However, from a competitive standpoint, it’s an excellent recovery by the UFC to swap in Oliveira for Means. The Brazilian lost his UFC debut to Gilbert Burns, but he has recovered to put together a solid three-fight winning streak that includes finishes of K.J. Noons and Piotr Hallmann. Oliveira has bounced down to the lightweight division before, but his normal home is at 170 pounds. I suppose the UFC could bill this as the match-up to determine the real “Cowboy.” So, there’s that. Even outside of the Albuquerque area, this fight probably doesn’t have quite the appeal of Cerrone’s original match-up, but it’s still a very intriguing fight. Cerrone doesn’t have a history at welterweight, so there’s no telling how he’ll fare against bigger opponents. Oliveira tends to be a striker, but Cerrone is coming off a loss where he was knocked into next week by lightweight Rafael dos Anjos. Can his chin hold up against Oliveira? I do like Cerrone’s experience edge. Oliveira’s career highlight came in his victory over Noons. 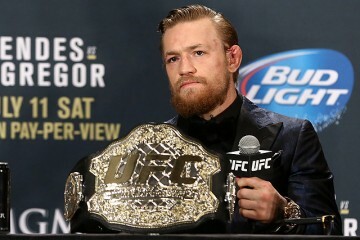 His subsequent fights came against fighters who haven’t established themselves on the world’s biggest stage. Cerrone, meanwhile, has been in numerous championship and contender bouts at the highest level. 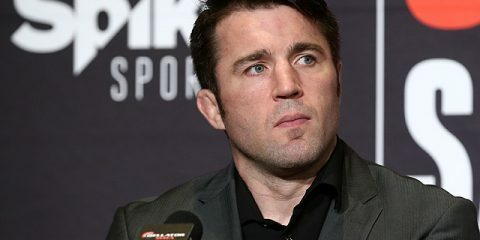 He may have lost to dos Anjos, but the defeat came after a significant run to the top of the division that took him through the likes of Edson Barboza, Benson Henderson, Myles Jury and Eddie Alvarez. If Cerrone can make it through that slaughterhouse at lightweight, the chances that he tops Oliveira seem pretty good. Carey: I admire my colleague’s ability to see find some silver lining in this new bout, because I’m not even a Burqueño and I’m pretty bummed out that the Cerrone-Means fight won’t be going down this weekend. No disrespect to Oliveira, who’s actually a very capable short-notice replacement, but Cerrone vs. Means was one of those fights where I didn’t even realize how exciting it was until it was taken away. It’s hard to get up for the new match-up after seeing such a good fight die off. Obviously, I’m considering this fight a downgrade from the original bout, but there’s still enough about the “Cowboy” vs. “Cowboy” match-up to keep me intrigued heading into Sunday, namely seeing how Cerrone deals with competing at 170 for the first time. While Oliveira may not have the same name recognition or brawling reputation of Means, he has been really good over the course of his UFC career thus far and presents a solid obstacle for Cerrone to try to overcome in his UFC welterweight debut. Noons and Hallmann are solid competitors and yet Oliveria found a way to finish both men impressively. He may not be a ranked opponent or even a well-known opponent, but he should be able to give Cerrone a good fight this weekend. I’m expecting Cerrone to pass this test with flying colors. He’s been fighting a murderer’s row of opponents over the last few years and arguably has more wins over marquee names than Oliveria has total. Cerrone’s big-fight experience should be shown off in a big way in this bout. As good as Oliveira has looked during his current winning streak, he’s never fought anyone on the level of Cerrone. This may end up being more of a learning experience for the Brazilian than anything. I’ll take Cerrone to get a stoppage win at some point within the first 10 minutes. Derek Brunson is a rising middleweight contender who has won five of his six UFC outings. He’s sharing the co-headliner spotlight with Roan Carneiro, a fighter who went 2-3 in his first UFC stint but returned in 2015 to post a quick submission win over Mark Muñoz. Does Carneiro deserve to be in this position? Is he simply a stepping stone for Brunson, or can the 37-year-old Brazilian play spoiler to Brunson’s rise? Carey: At first glance, it felt like Carneiro had somehow lucked into this spot. However, look at the state of the middleweight division right now. Throwing “Jucão” into this slot actually makes a bit of sense, doesn’t it? There are roughly 10-15 guys all fighting for the final five spots in the 185-pound rankings right now. At the moment, it’s incredibly hard to decide which fighters are actually worthy of being considered for these slots. Carneiro, despite his age and a lackluster UFC record, has won six straight bouts. Five of those wins came by stoppage. He may not be a world beater or anything, but his win over a fading Muñoz proved that he still has something left in the tank. This next bout should let us know right away if the 37-year-old has enough to make a run. Does Carneiro have enough in the tank to take out Brunson and make a move up the middleweight ladder? Probably not, but I don’t really have a problem with him getting a shot. Brunson has been on quite a roll lately and his three most recent wins have come against some solid opposition, but he hasn’t had the big win necessary in order to get a top-10 guy yet. A four-fight winning streak, capped off with a win over Carneiro, can provide something close, especially if Brunson is able to finish the fight as impressively as he’s tended to do lately. I’m picking Brunson to earn a late TKO stoppage on Sunday, but he’s going to have to make some waves with his performance if he wants to try to push himself into title contention in 2016. Carneiro is a tough out, especially on the mat, but as long as Brunson keeps his wits about him, he wins this fight in all areas and can start to make his run. Henderson: The UFC sure seems determined to give Carneiro a push this time around. The Brazilian submitted Muñoz in under two minutes, so the promotion lined him up first with Gegard Mousasi, but Carneiro was forced from the September match-up with an elbow injury. Now that he’s ready to return, the UFC pits him against Brunson, another top middleweight. It’s probably a bit premature for Carneiro to get this big push, but the UFC held Muñoz in high regard, so Carneiro technically earned the spot. Can the 37-year-old turn this into the best run of his career? It’s doubtful. 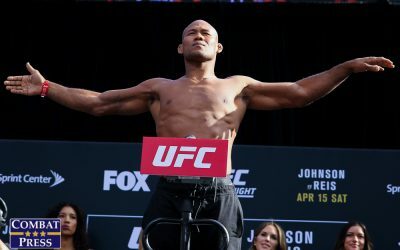 He’s on a great streak right now, but his past inconsistencies and his age make him a definite underdog against Brunson, whose only losses came to Kendall Grove, Ronaldo “Jacare” Souza and Yoel Romero. Two of those three fighters are in the UFC title mix today. Brunson is a legitimate top fighter. He’s defeated the likes of Sam Alvey and Lorenz Larkin during his UFC tenure, and Carneiro would be another strong addition to his resume. The Brazilian is more than a stepping stone — Carneiro will not be an easy fight for Brunson — but he is the next test that Brunson will pass. Tatsuya Kawajiri came into the UFC heralded as a potential contender in the featherweight division. However, even with a 3-1 record inside the Octagon, he has looked average through the first few fights of his UFC career. Can he make a statement against Dennis Bermudez this weekend and score the biggest win of his Octagon career yet? Or will the streaky Bermudez shake off his recent two-fight losing streak and return to form as the man who had won seven straight bouts in the UFC just over a year ago? Henderson: That’s a really good question. 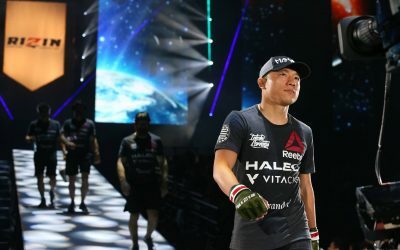 I was very high on Kawajiri when he entered the UFC, especially since he had moved down to a featherweight division where the path to a title bid seemed more clear for the Japanese “Crusher.” I’m not quite as high on him now. He did beat Sean Soriano, Dennis Siver and Jason Knight, but there weren’t really any wowing performances there. Furthermore, he was decisioned by wrestler Clay Guida. This last fact might be the most relevant to Kawajiri’s UFC tenure and his upcoming fight with Bermudez. Kawajiri performed well in Japan as a wrestler with effective ground-and-pound and a solid stand-up game. Those skills have been tested since his arrival on American shores. He submitted Soriano, but it took much more effort than anyone expected. He went the distance with his next three foes. So, a guy who had double-digit win totals in the knockout and submission columns could not finish the likes of Siver, who has five submission losses, and the rather green Knight. 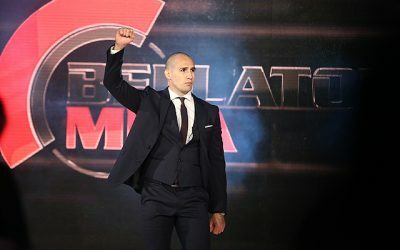 The 37-year-old Pride and Shooto veteran hasn’t been able to find true dominance, and his showing against Guida wasn’t a good sign either. Bermudez tends to be a grinding wrestler. He’s not an exact clone of Guida, but he shares the same strengths when it comes to neutralizing opponents through a wrestling-heavy game plan. This is bad news for Kawajiri. Yet, Bermudez does have those recent losses to Ricardo Lamas and Jeremy Stephens. He has defeated Guida, though. The point here is, Bermudez is streaky enough to make this a very tough question to answer. If the former The Ultimate Fighter contestant can press with takedowns and positional control, then he can probably imitate most of what Guida does — maybe not the pace, and definitely not the hair, but everything else — and work his way to a grinding win over Kawajiri. 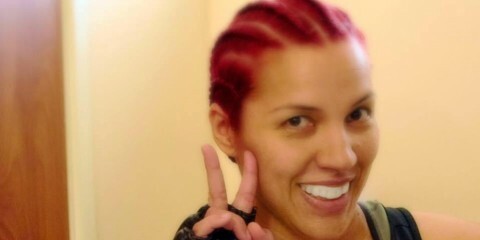 If that Bermudez doesn’t show up, then Kawajiri is likely headed for the decision nod. My ultimate prediction? Bermudez can pull off the win. Carey: This might actually be the hardest fight to call on the card because it’s hard to get a feel for exactly how good Bermudez is, even though he’s had double-digit fights inside the Octagon at this point. When Bermudez is on his game, he’s had some of the more impressive performances in the featherweight division over the last few years, with his wins over Guida and top contender Max Holloway proving that “The Menace” can definitely hang with solid competition. 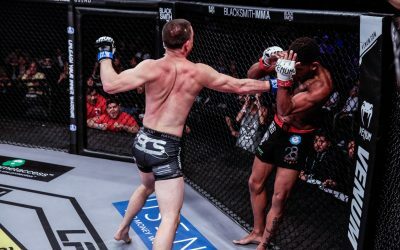 However, his recent losses, especially a submission defeat to the aforementioned Lamas where Bermudez was barely able to get out of the gate, make it hard to bank on the New York native. If Bermudez shows up and fights not only to his ability, but with a good head on his shoulders, he should win this fight without too much difficulty. There is definitely the possibility of Bermudez using the grind-it-out strategy that Guida had so much success with against Kawajiri. That’s what should happen on Sunday. Kawajiri is a well-rounded guy and can cause problems anywhere in the fight, but his weak defensive wrestling might be his downfall. Bermudez is a big, strong 145-pounder with the wrestling to win this fight if he stays disciplined. As long as Bermudez doesn’t get overeager and make a big mistake, this is his bout to lose. I keep bringing up discipline when talking about Bermudez, but that’s because two of his three UFC losses probably could have been avoided if he would have kept his composure a little better. Bermudez was having his way with Diego Brandao, but a slip-up on the ground while trying to finish the bout ended up costing him both his UFC debut and The Ultimate Fighter championship. In his last loss, Bermudez ended up forgoing his wrestling for the most part and got into a brawl with Stephens, which played right into Stephens’ hands. Kawajiri is a solid veteran, but Bermudez is the stronger fight at this point. Barring any major screwups, he should take this one home. There are two women’s bantamweight bouts on this card. One features a fighter ranked within the UFC’s own top-15 rankings for her weight class, and the other bout features a former Invicta FC women’s bantamweight champion. Are these contests placed criminally low on this card? Do they deserve a bigger spotlight? Will either bout produce an eventual contender within the division? Carey: It’s funny, because I’m usually the first person to start raising hell over the UFC’s inability to put together a proper bout order, but I really don’t have too much of a problem with these fights taking place on the Fight Pass prelims this time around. This event features a really solid main card, so I don’t feel that any of those match-ups should have been relegated to Fight Pass in favor of anything else on the ticket. While either of the women’s fights could have headlined the televised prelims on Fox Sports 1, the UFC has made it a point to try to throw at least one noteworthy bout on Fight Pass for each event this year, and these two fights aren’t a bad example of the company’s efforts. So, while these fights might deserve a little more attention than they’re currently getting, I can’t really complain. It’s not like any of the women involved are within striking distance of a title shot anyway. Marion Reneau is ranked heading into her bout against Ashlee Evans-Smith, but she has to be considered miles away from a rematch with Holly Holm, who gave Reneau her first UFC loss in her last outing. And while I was the first to jump on the Lauren Murphy bandwagon when she made the move over from Invicta FC last year, the former champ has lost both of her Octagon appearances thus far and probably deserves a lower spot on the card unless she can prove that she’s a UFC-caliber fighter. Long story short, I have no problems with where either of these fights sit on the card, mostly because they’re going to be inconsequential in the long run. Reneau and Murphy are both on the wrong side of 30 and have a ton of ground to make up before they can throw themselves into the title mix. Evans-Smith and Kelly Faszholz may have youth on their side, but they’re also both extremely unproven when it comes to fighting opponents of the caliber of Reneau or Murphy. Both fights should be entertaining, and there’s definitely some talent between the four of these ladies, but it’s hard to get too invested in a couple of bouts that more than likely won’t end up meaning much in the long run. Henderson: Some people may view bout order as inconsequential under any circumstances. 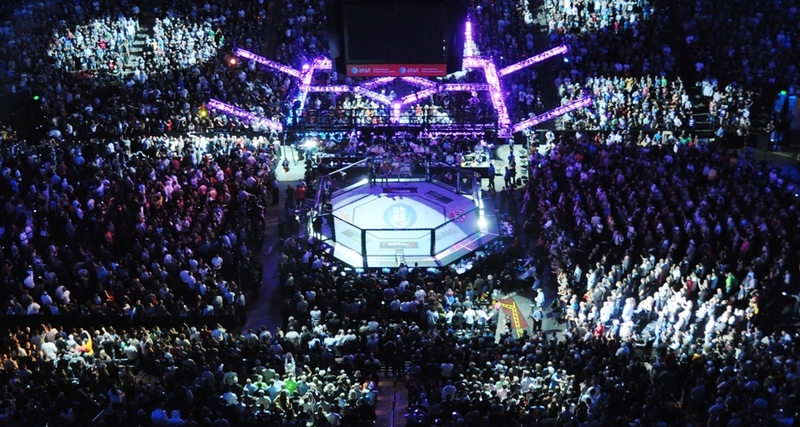 However, all one needs to do is look at the seats in the arena during the UFC Fight Pass prelims to know what type of difference there is between a spot atop the Fight Pass lineup and a spot even at the very bottom of the Fox Sports 1 portion of the prelims. The later on the card you appear, the more eyeballs that see your fight. So, while there is some justification for placing Reneau, Evans-Smith, Faszholz and Murphy this low on the card, there’s also plenty of reason to place them higher. Murphy has lost two in a row, but the losses came to Sara McMann and Liz Carmouche, a pair of former title challengers. The former Invicta champ is still a relevant part of the division and could add some depth to weight class, which is something the division lacks. 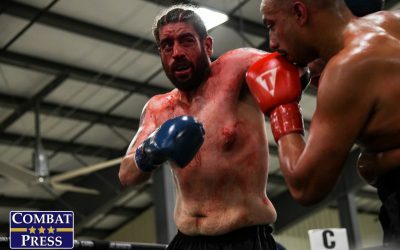 Murphy’s opponent, UFC newcomer Faszholz, is an undefeated pro through three fights and could get a significant boost of her own if she tops Murphy. Murphy, meanwhile, can claim a win that puts her back on track after her recent skid. Then there’s Reneau, who has been in the cage with the reigning champ Holm. Yes, she lost, but she can claim that she lasted longer against Holm than Ronda Rousey was able to last. Reneau, who already holds wins over Jessica Andrade and Alexis Dufresne, is indeed ranked and gets another well-known name in Evans-Smith. 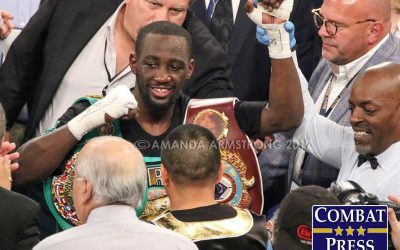 These bouts probably won’t produce the next title contender, and the winners might never climb quite that high up the ladder, but it can establish some highly regarded gatekeepers who can push current contenders and initiate new ones to the ranks. They deserve to be fighting in front of something more than a bunch of empty seats. Henderson: Well, my initial pick for the sleeper was the bantamweight tilt between John Lineker and Cody Garbrandt that had all the makings of an entertaining slugfest, but Lineker is dealing with a case of dengue fever and the fight has been scrapped. That forces me to look elsewhere on what has become a crumbling card in the week leading up to the fights. I’m going to dig really deep for this one and turn my attention back to one of the women’s match-ups: Marion Reneau and Ashlee Evans-Smith. Reneau may be coming off a loss to Holly Holm, but her record is littered with finishes and she’s still a borderline top-15 fighter in the women’s bantamweight division. Evans-Smith is further down the ladder, but she’s usually either doling out finishes or ends up on the receiving end. These ladies are both coming off losses. While Reneau’s first UFC defeat shouldn’t count against her when it comes to future employment — heck, it should count in her favor — nothing is certain when it comes to the UFC and its roster moves. That means Evans-Smith and Reneau are likely fighting to keep their jobs. They’ll go all-out for the victory, which should lead to some fireworks in this affair. Carey: Alex Garcia’s match-up with Sean Strickland is getting hardly any due, but it’s a good fight between two interesting up-and-comers at 170 pounds. 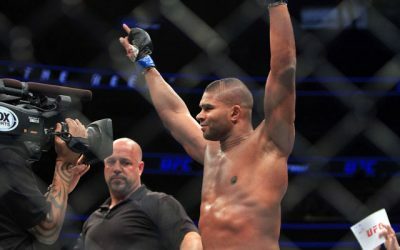 Both men are bringing solid 3-1 UFC records into the Octagon, and with Garcia entering his prime at 28 and Strickland coming in at just 24, the winner could find himself in a good spot in a deep welterweight division. Garcia is likely the favorite based on his UFC resume. “The Dominican Nightmare” fought a really close fight with the perennially underrated Neil Magny not long ago, and he followed up the performance with a solid win over Mike Swick in his last outing. Like a lot of guys, Garcia has seen his finishing percentage drop since jumping to the big show, but he’s still a very dangerous guy and could make some waves with another win or two. What makes this fight so fun is that Strickland is a more than worthy threat to knock off Garcia. “Tarzan” is a big, tall guy with a huge four-inch height and reach advantage over Garcia. Unlike a lot of young fighters, he’s proven to be able to utilize his reach well during his time in the Octagon. There aren’t any Swicks or Magnys on his record, but Strickland has fought and beaten some tough guys in Igor Araújo and Luke Barnatt. He has a really good chance to use his physical advantages and earn a big win this weekend. Carey: A big, fat “What if?” question. Just a few weeks ago, this main event was set to feature Donald Cerrone against Tim Means in what should have been a “Fight of the Year” candidate if all had gone according to plan. Instead, after Means was forced from the bout after failing a USADA test, we are given the “Cowboy” vs. “Cowboy” match-up, which is fine but not exactly what we had been promised. Yes, fights fall apart all of the time, but for some reason this one hurts a little more than most. There’s no way I’m going to be able to think of anything else once the main event actually gets ready to kick off on Sunday. Henderson: A big bowl of popcorn. Yes, the loss of the Cerrone-Means fight is depressing, but this card is filled with potential for entertaining scraps. We might get some grinding, slow-paced fights — Dennis Bermudez vs. Tatsuya Kawajiri comes to mind — but there should be plenty of high-energy bouts, especially once we hit the main card.